The Black Flag Cafe© • View topic - Well Sri. What do you make of this? Re: Well Sri. What do you make of this? Looks like it was already made. I'm feeling that to the tips of my toes. 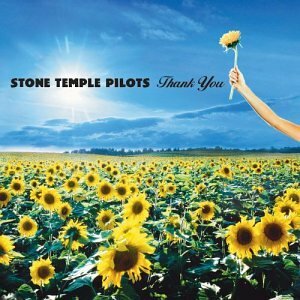 Some of us were and are stone temple pilots. My twin flame and I had a past life on Easter Island about 2000 years ago and a past life where Angkor Wat was eventually built around 2100 years ago. We were never Hindu or Buddhist in the true sense but always shamans. When I got pulled out of my body near a stonehenge a few years ago it was my Hova body (Rishi Identity) that was activated (at dimensions 27,28,29). My twin flame could do this to me with her will and the Earth. I liked it. She would be at (dimensions 42,43,44) while doing this. Your Hova body starts at (dimensions 13,14,15). There is no name for those higher dimensions. It is all considered Geomantic Identity. This is where time-space becomes space-time. Also,where mind-heart becomes heart-mind. I have one place left where I have to go in this lifetime apparently. Lhasa,Tibet...where my twin flame and I had 3 past lives. There is something there. It is through the multidimensional relationships between angles of particle spin and anti-particle spin that multiple reality fields can take place in the same space,while remaining invisible to each other. At dimensions (7,8,9) your DNA becomes silicate...your biology becomes silica based. Christed (chrystal). Krysthl-a...which breaks into Christ and Allah. This is why one can read another person's Akash by looking at a computer screen. Do not mistake the ability to multi-task with multi-dimensionality. Multi-tasking can be done in the lowest dimensions. I'm getting the word "Ratanar" when I divine the Creator. It has something to do with the Tibetan Book of the Dead. Apparently my twin flame and I contributed to the knowledge of this book. Our first lifetime there was approximately 4400 years ago. So the Book has nothing to do with Buddhism. It is Shamanic. Our next 2 lives in Lhasa were 3500 and 3100 years ago. 2900 years ago we existed in western Tibet in a place known as Sidtib. This is probably why I can channel the "dead" in this lifetime as could my twin flame...though she could do it without a quantum tool. There are others here who have the capability. Thank you rickshaw...you opened a whole vault for me. Anyways,once I retire in about 4 and half years I will venture to Tibet and be guided by monks as to what I need to do and know. Sri Lanky wrote: Anyways,once I retire in about 4 and half years I will venture to Tibet and be guided by monks as to what I need to do and know. ....you feel you need to go to Tibet for that? How about I show up at your place? I know I know...just read it. Again. now, back to the anniversary. this is hell, this is hell...nah, enjoy everyday or something. statistically youve only got 11 or 12 thousand left.